Professional Lighting. The Led grow light provides you a targeted spectrum(including 460nm,630nm and 660nm wavelength), and gives your plants only the light that they can use, offering them an extra boost in production. Latest 36W theoretical power, 12X3W, 36W. High brightness. The more brightness, the better photosynthesis performance. Adopting high power LED chip, there are 12LEDs at 3W, totally 36 watt rated power versus the other sellers’ version 12 LEDs at 1w. Same small size and shape, but triple brighter than 12w. Actual power consumption 14.4W. Great Heat Dissipation. The LED grow light is constructed of pure polished aluminum to maximize heat dissipation and a ribbed design on the sides that aids in keeping the bulb cool, maintaining a cooler temperature even after 18hours continuous use. Maximized Growth. 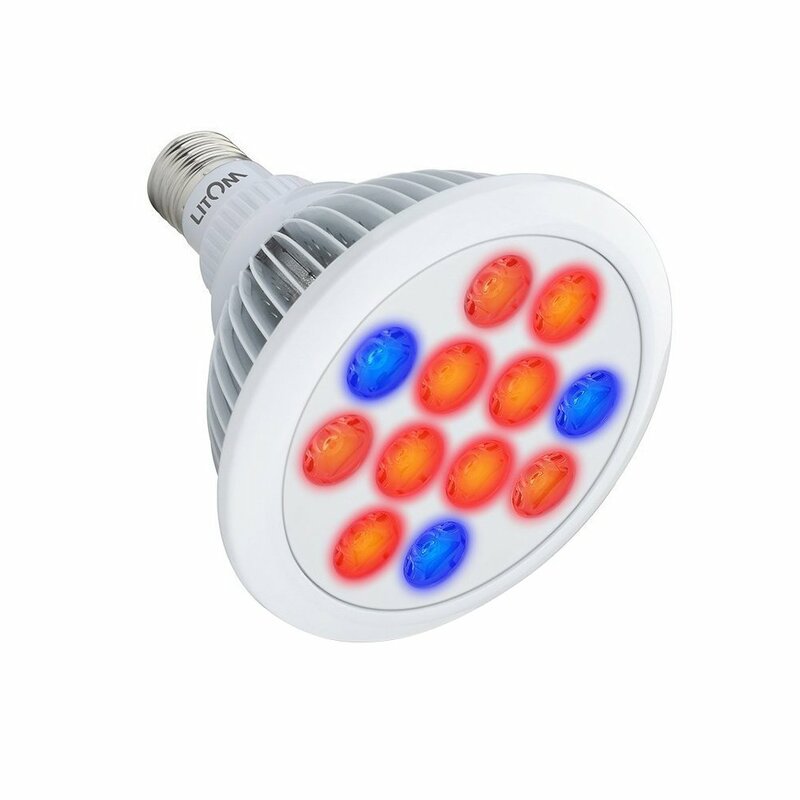 With 12 LEDs (3blue & 9 red), the blue light is ideal for vegetative growth that creates tall, leafy plants while the red light helps encourage budding,flowering and fruiting. It is suitable for all stages of plant growth. Easy to Use. With standard E27 socket, it is easy to set up and use. No special lamp base needed and a desk lamp will do. Lower power consumption,high luminous efficiency and long life span. The longevity is long to 50,000 hours with intelligent IC.